Even if you have multiple site collections, each one with its own content, some files are important to many users. Those files should be possible to reach from within several site collections, so that users don't have to navigate to another site collection to read or edit them. In a new tutorial in the kalmstrom.com Tips section I show two ways to display files from other site collections. I also discuss how these methods look for users who don't have access to certain files. Common for both methods is that you should keep each document in only one library, even if you share it on many sites. That way you only have to edit in one place. Imagine how many versions there will be after a while, if you copy and paste documents between site collections! It is always a good habit to tag files with metadata and keywords, and Enterprise Keywords are centrally stored and easy to add and use. I give a certain keyword to all documents that should be shared between site collections, to make them easy to find in a search – because search is what I recommend you to use when you share files between site collections. If you gather all documents that are tagged with a certain Enterprise Keyword in a Content Search web part, you can easily add more files to the page by just tagging them, no matter what site collections they are stored in. 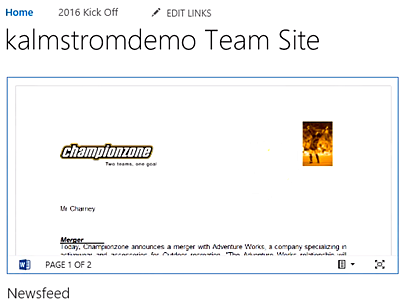 In the demo below I show how to add such a web part to a page. 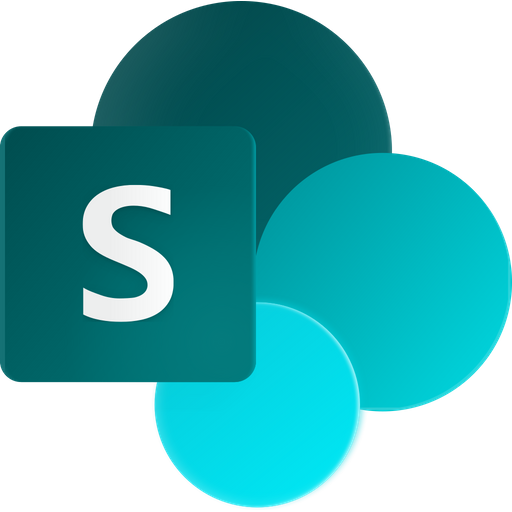 The tutorial about file sharing among SharePoint site collection has two more demos. In one of them I show how to embed a Word file. This looks good on the page for users who have access to the file, but it takes a lot of space and it only works for Word, PDF and PowerPoint files. SharePoint always trim searches after permissions, so users only see what they are allowed to see. In my third demo about documents from multiple site collections I show how the two options, search and embed, look to a user who don't have access to the shared files. The Content Search web part looks good, because where some users see links this user sees nothing at all. The embed option, on the other hand, looks bad, with a no access message occupying space on the page. Therefore you should only use the embed option for Word files that all users have permission to read. This was the third blog post about my Search articles in the SharePoint Online from Scratch series, but there is a lot you can do with SharePoint Search so you can look forward to at least one more!